Los Angeles – Cleopatra Records is pleased to announce the release of The Individualist: digressions, dreams and dissertations, by legendary songwriter, musician, interactive artist, producer and a current nominee for the Rock N’ Roll Hall Of Fame, Todd Rundgren on December 21. Rundgren pens his first ever autobiography reflecting on both his phenomenal career as well as his rollercoaster of a personal life with pages of recollections, structured into bite-sized single-page three-paragraph chapters, about encounters with rock royalty including Janis Joplin, Brian Wilson, Ringo Starr, Patti Smith, The NY Dolls, and Meat Loaf along with numerous photos never before published. The Neal Morse Band’s triumphant double-album, “The Similitude Of A Dream,” is the most acclaimed release that Morse has helmed to date. The 2017 “Road Called Home” tour was their most extensive yet, including new continents for the band. At the 013 in Tilburg, Holland, the stars aligned for the most commanding performance of the run, captured for live release in stunning quality. Now the Neal Morse Band is releasing on June 15th “The Similitude Of A Dream” Live in Tilburg, Netherlands 2017 2CD/2DVD Set. Los Angeles, CA – Blues rock phenom Eric Gales set Hollywood’s Sunset Strip on fire last year with his six-string pyrotechnics at an explosive concert performance in the legendary Viper Room. Audiences were treated to a truly spectacular concert as Gales let loose on a string of Southern fried soulful blues favorites from his back catalog including “Block The Sun” and “The Open Road” PLUS tracks from his most recent album Good For Sumthin’ including a smokin’ hot cover of The Stones’s “Miss You” featuring a special guest appearance by Good For Sumthin’ producer Raphael Saadiq (John Legend, The Roots) on bass! Now, this concert experience is coming to home theaters everywhere as a special CD/DVD combo package called A Night On The Sunset Strip to be released this July 8, courtesy of Cleopatra Blues. This one will melt your eyes and your ears! Deadline Music To Release Anthology By Hard Rock Legends AXE – “Rock ‘n’ Roll Party In The Streets”! Los Angeles – Much to the excitement of rock fans worldwide, Deadline Music will be releasing a 2CD blockbuster career retrospective from one of the unsung heroes of classic hard rock who toured with every major metal act from Iron Maiden to KISS to Mötley Crüe, the indomitable AXE! The anthology includes the band’s biggest hit single “Rock ‘n’ Roll Party In The Streets,” plus select cuts from the much sought after first 2 studio albums and much more! AXE was formed in 1978 from the ashes of a band called Babyface and began recording their first album, “AXE” in 1979 and started a tour that lasted until 1984. Their second album, “Living On The Edge”, followed in 1980. In 1981, AXE changed labels and recorded “Offering” for ATCO Atlantic featuring the hit “Rock and Roll Party In the Streets.” The song reached #59 on the Billboard charts of the most-played-songs in 1982, and became a nationwide rock anthem. After 19 months of touring with the likes of Ozzy Osbourne, Judas Priest, the Scorpions, ZZ Top and Motley Crue, it was time to record the fourth AXE album – “Nemesis”. Continued success meant more touring. Band leader Bobby Barth was seriously injured in a car crash that led to the disbanding AXE and later joining Blackfoot. After his stint with Blackfoot, Barth took his talents to Australia to join Angry Anderson (Rose Tattoo), hitting the Top 5 on the Australian charts. The reformed 1997 AXE line up featured former Frank Zappa vocalist Bob Harris, Bobby Barth on guitars, Edgar Riley Jr on keyboards and original drummer Teddy Mueller plus bassist Blake Eberhard, and keyboardist Rob Lowe. To his credit, Bob Harris has performed with some of the greatest artists in the music industry. Covering vocals and keys for Frank Zappa, he proved his ability as an outstanding musician and writer. Blake Eberhard is one of Colorado’s premier studio and live bassists. He joined AXE after being hired by Barth for several recording sessions, and added a new dimension to the AXE sound. In the interim period between the band’s split and the reformation, Edgar Riley Jr had worked with Frank Zappa and had also played with several unidentified bands in the Southern states of America and Teddy Mueller had got involved in the publishing industry. A brand new AXE album, “AXE (Twenty Years From Home)” was released in September 1997 featuring re-recorded versions of choice tracks from each of the first four AXE albums, plus two from the recently released V record. For their 2001 album “The Crown” the group inducted new personnel guitarist Danny Masters and drummer Christian Teele. AXE would release a limited edition mini album “Live In America 1981” to commemorate their European 2001 tour dates. In the mid-2000’s, AXE reformed again including singer Bob Harris and adding new members, Brad Banhagel, David Landes. 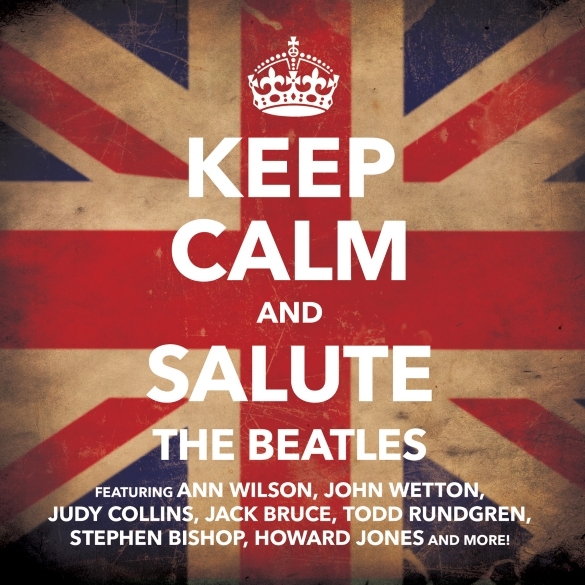 The band toured throughout the US and Europe. 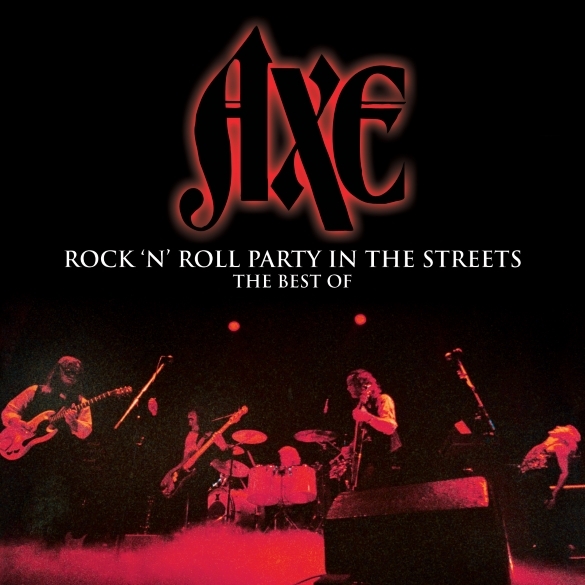 Now AXE fans worldwide are rejoicing with the pending release of AXE’s “Rock ‘n’ Roll Party In The Streets – The Best Of”!